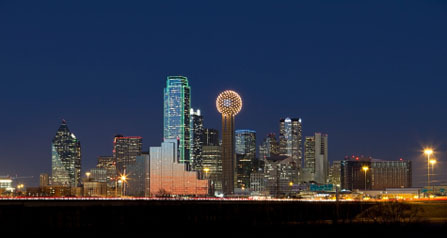 Moving overseas from your residence in Dallas can seem a little intimidating at first whether you are moving from the arts district downtown or Greenland Hills on the east side of the city. Fortunately, finding experienced international movers in Dallas that provide moving services for the area takes a lot of weight off your shoulders and allows you to concentrate on other aspects of the move like making travel arrangements. 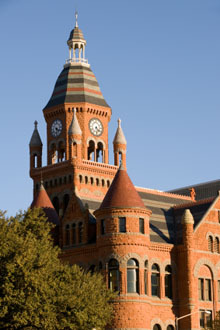 D-Town is the third largest in terms of population in Texas and is home to many global companies. Overseas relocations happen year round and as an international moving company, our mission is to provide door to door relocation services that suit both small and large scale moves. As a fully licenced company and member of the International Association of Movers, we make sure that each and every step of the process is done safely and efficiently. We have multiple locations across the United States and the overall procedure for household moves from the Dallas, Irving and Plano areas can vary. The exact process of the move will often depend on the final destination and the chosen ocean transport option ie. using your own container or sharing. Additionally, since there's no port access, goods and contents of the move will need to be hauled to one of the many container moving ports in the United States. From Dallas, your household goods and other belongings could leave from Houston, as it's the closest major port. However, you may want to consider having the items leave from the west coast for destinations like Australia and New Zealand, and the east coast for Europe or the Middle East. These types of details are topics which our team of moving specialists can discuss in finer detail. Our team has been coordinating household moves overseas for more than 37 years and each one of our international moving specialists has over 10 years of experience. To learn more about our team of international movers and to get a free moving estimate from Dallas to any worldwide destination, contact us today and we'll make sure your relocation goes off without a hitch.